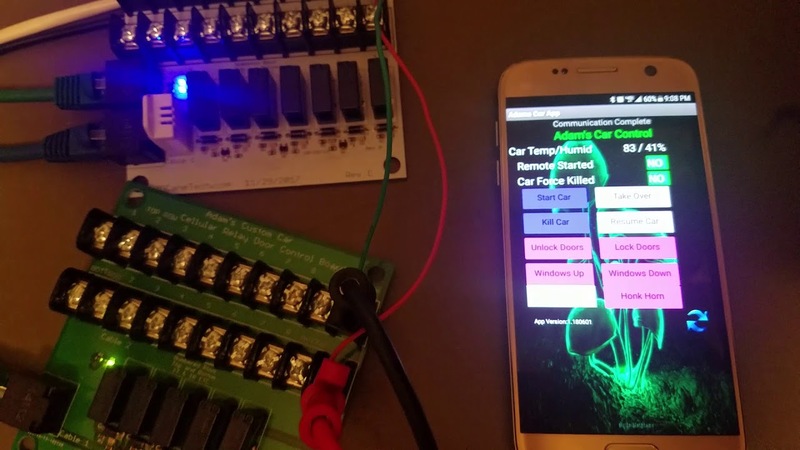 A DIY system I built to use cellular to remote start a vehicle with your phone from anywhere. first off great job! I was wondering if i could also have the code for this, no chip just an 02 dodge Dakota, I have a remote start now but its going out and would love to add this to my truck, also if you have the schematics for the PCB that would be amazing as well! Do you mind sharing the specs and code? I am currently looking for a remote start but the dealer is asking $978 for just an on/off option. I could use the money for baby formula and diapers. This is nice, I'm working on something similar. Are you integrating into the CanBus at all for say overriding the immobilizer? My plan was to have the Teensy fake the immobilizer signature over CanBus to the ECU before activating the remote start via relays (Starter is hardwired, but ignition and accessories can be enabled over CanBus I believe). Are you sharing any of the source code for your project by any chance?